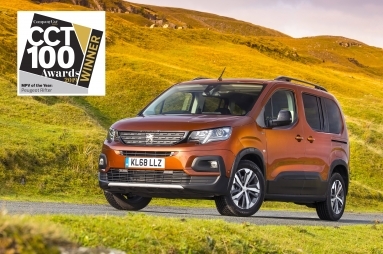 PEUGEOT scooped two accolades in the 2019 Company Car Today CCT100 Awards, with the 5008 SUV taking the prize for ‘SUV of the Year’ and the all-new Rifter beating the competition to the top honour in the ‘MPV of the Year’ category. 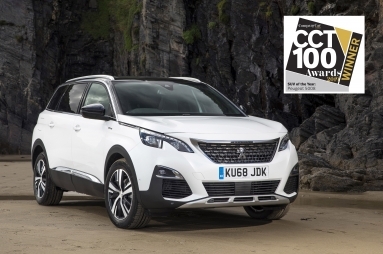 It’s a second time win in the CCT100 Awards for the 5008 SUV which took the ‘SUV of the Year’ award in the inaugural CCT100 Awards soon after its launch in 2018. The all-new PEUGEOT Rifter brings style and practicality to the MPV sector, with a choice of five and seven seat models in two different lengths. Like the 5008 SUV, the Rifter benefits from PEUGEOT’s i-Cockpit® and flexible interior layout, combined with impressive carrying capacity. Both the 5008 SUV and all-new Rifter are powered by a choice of petrol and diesel engines that meet the stringent Euro 6.2 limits and offer very low emissions, combined with impressive fuel economy and competitive company car tax rates.